With Universal Day of Jedi set for May 25, Star Wars fans around the globe will be celebrating the legacy of George Lucas; his creative and pioneering vision of what happened a long time ago in a galaxy far, far away. Day of the Jedi is, undeniably, specifically a Star Wars celebration; but in many ways it is more than that. It is a reflection of how much impact Lucas’ saga has had upon pop culture around the world. Think about it: can you imagine a world without Star Wars? The movies, books, comics, toys, cartoons, video games, and countless forms of other types of media connected with millions over a few generations. Clearly, what Lucas had accomplished with the series, did more than just touch a nerve. There was definitely, at one point, a world without Star Wars. Before May 25, 1977, the mythical universe created by Lucas was simply a work-in-progress; something that many in the business-side of Hollywood found challenging to comprehend. The whole concept was weird to them. What the hell was a Wookiee and why did he not have any pants on? What is this Force and who or what is a Jedi? In spite of the difficulties many of the execs had with understanding the story, the ancestry of Star Wars come from many different sources. Lucas often quotes Joseph Campbell and his studies into and publications about mythology to be a key influence. But it was more than that. While “the suits” thought that Sith Lords and Death Stars were just too peculiar, there were numerous films that Lucas used as inspiration for the Star Wars saga; inspirations that assisted him in molding the saga into a multigenerational story. 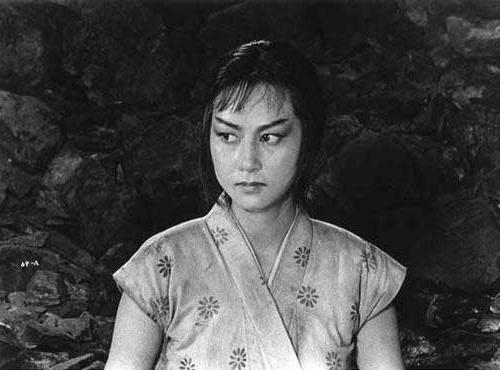 Kurosawa is conceivably George Lucas’ biggest influence in the realm of film-making. He has explicitly confirmed this in countless interviews over the years. More significantly, he has also used scenes in his movies that “give the nod” in tribute to the classic Japanese director. The Hidden Fortress tells the story of a soldier, General Rokurota Makabe, who is transporting a Princess to a safe locality. The royal family has been defeated by their enemies, and the two make a strategy to rebuild the Princess’ military and take back her land. The plot, in and of itself, is particularly similar to the concept of Star Wars: of a Princess leading a Rebellion and re-establishing order to her domain by taking down ‘the evil empire’. But perhaps the most unequivocal influence of Star Wars is not the plot, but two characters called Tahei and Matashichi. Tahei and Matashichi are the initial primary characters in the film; and the entire story is fairly much told from their perspective. They have a habit of getting into trouble, getting in the way, and the dynamics of the rapport between the two is a key element of the film. These two characters were a thorough influence for the creation of C-3PO and R2-D2: two characters that have a tendency of getting into trouble, with which Episode IV: A New Hope is fairly much told from their viewpoint. Being a space-based saga, Star Wars was clearly influenced by several science fiction films. Perhaps the biggest influence was the classic Flash Gordon film serials made during the thirties. 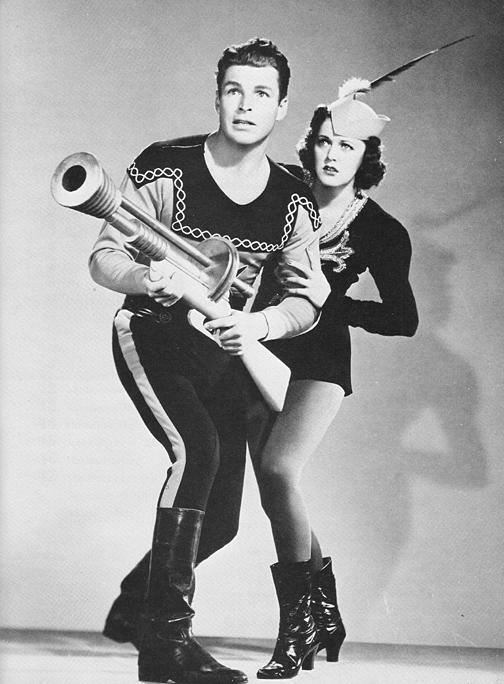 With Buster Crabbe fulfilling his defining role as the space hero, the Universal Pictures chronicle became popular among young film fans. While the basics of spaceships, laser guns, and a young space hero facing off against a wicked emperor are clearly large influences on the Star Wars saga, there are some other characteristics of the serials that Lucas used for both the original and prequel trilogies. Firstly, Lucas imitates the naming convention of the classic sci-fi serials – naming his films “Episodes” in place of Flash Gordon’s “Chapters”. Additionally, the opening crawl for which Star Wars is so renowned is almost shamelessly ripped off from the Flash Gordon serials; particularly the style used in Flash Gordon Conquers the Universe. In essence, Lucas’ utilization of these elements is his way of saying that his saga is the contemporary interpretation of these classic serials. Star Wars has long been known for being inspired by classic Westerns, such as Once Upon a Time in the West, as well. Scenes (such as those in the Mos Eisley Cantina in Episode IV and the Outlander Club in Episode II) resonate elements of the old classic Saloon scenes in some of the more well-known Western movies of years gone by. In fact, the Han Solo/Greedo scene in Mos Eisley is directly taken from a comparable scene in The Good, the Bad, and the Ugly. 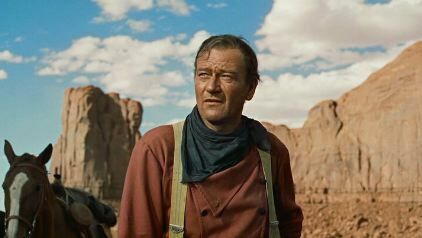 Perhaps the one Western that influenced Lucas was The Searchers, featuring John Wayne. The plot focuses on Ethan Edwards (portrayed by Wayne) spending years searching for his niece, who had been kidnapped by a Comanche tribe during a raid on the family’s home. Lucas refers to The Searchers in several scenes throughout the saga. In A New Hope, the burning of the Lars Homestead is story-wise and visually very similar to that of the burning of the family home in The Searchers. The scene from The Searchers when Edwards observes the Comanche camp to save his niece is almost identical to the way Anakin Skywalker looks over and into the Tusken Raider camp to save his mother (from Star Wars Episode II). Films about World War II were also clear influences on the Star Wars saga (the dogfight scene from “Episode IV: A New Hope“ was based upon a visualization created by Lucas taken from countless WWII films; and the historical tale of the Nazis was a huge influence on the development of The Empire). Visually, The Guns of Navarone, a classic in its own right, was a big inspiration on how the Death Star’s functionality was portrayed on-screen. The scenes in which the engineers and gunners prepare to trigger the primary weapon(s) in both films is very close; in fact it is more or less identical. Plot-wise, the heroes’ attempts at attempting to destroy the formidable weapons are also mirrored in both Episodes IV and VI. While the journey to the end-goal differs between the two films, it is the idea of unlikely heroes accomplishing the impossible that Lucas was clearly fascinated with. Compare the scene below to the scene in Episode IV where the Death Star is about to fire upon the rebel base on the moon of Yavin. Lucas has acknowledged that there are several allusions to this film in the Star Wars saga. The most apparent one are the scenes from the Theed Palace in Attack of the Clones with Anakin Skywalker and Padme Amidala, which were shot at the Plaza de Espana. The Plaza de Espana was used as the Cairo Great Britain Army Headquarters for Lawrence of Arabia. The Star Wars scenes were shot in a similar style to the technique used when Dryden and Allenby discuss the issue of providing ammunition to Lawrence and his troops. Below you can see the entire extended scene shot on location at the Plaza de Espana for Star Wars Episode II. Another World War II film, The Dam Busters has long been considered by countless film fans as an absolute classic. Released in 1954, the flick comes to a climax in the scene where Rebel pilots are to fly towards a target and release a single shot of a special weapon at a specific distance in an endeavor to destroy the enemy base with one explosion. Sound familiar? It should, because the conceptualization is the exact same one used by Lucas during the Battle of Yavin in Star Wars Episode IV: A New Hope. Moreover, some of the lines spoken by several of the X-Wing pilots in these scenes are duplicated from The Dam Busters. The assault on the Death Star is also heavily influenced by another film called 633 Squadron. The parallels with The Dam Busters do not just end there. The final march scene at the end of Star Wars, in which Luke Skywalker and Han Solo are awarded their medals, features music very similar to the Elgarian-style march them used in the timeless 1954 film. These similarities have not gone unnoticed by fans. 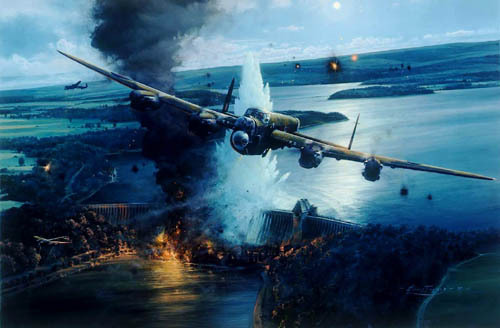 In actual fact, one ambitious fan put together his own version of footage from The Dam Busters overdubbed with sound effects, music, and lines from Episode IV. There are, absolutely, countless films that have influenced George Lucas over the years as he produced the Star Wars saga, besides the ones listed above. The opening scenes of Saving Private Ryan have been seen as an influence on the Kashyyyk battle in Revenge of the Sith, while others have pointed out some inspirations evident in other scenes in movies ranging from Casablanca to Zatoichi. The list could potentially be inexhaustible, which highlights one major factor in all of Lucas’ works: not only is he an accomplished film-maker, but he is most certainly a fan of films and enjoys paying homage to some of the finer moments in film history within his own works. On a final note, I’d like to close out with a parody film that focuses on what influenced George Lucas and the creation of Star Wars. In 1999, an independent film was made by Joe Nussbaum as a homage and spoof to both Star Wars and Shakespeare in Love. 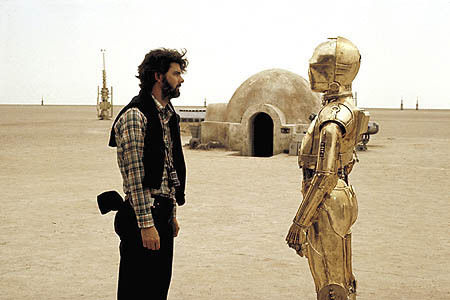 The short film is called George Lucas in Love and was very popular on the web “back in the day”. It’s one of my personal favorites, and it fits nicely with this subject. Enjoy, and Happy Universal Day of the Jedi for May 25. 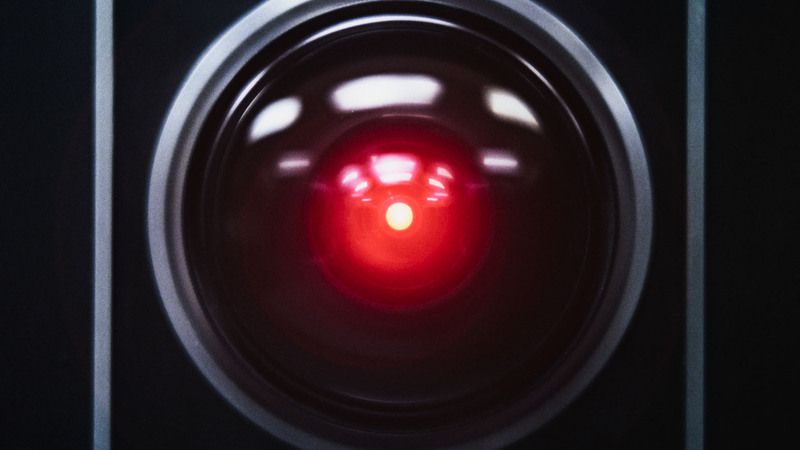 ⟵The Future of Hollywood… User Generated Films? I LOVE Hidden Fortress! Hopefully more people will watch it now! There is first hand account of the American Revolutionary War by Joseph Plumb Martin, originally published in 1830, called: “A Narrative of Some of the Adventures, Dangers and Sufferings of a Revolutionary Soldier, Interspersed with Anecdotes of Incidents That Occurred Within His Own Observation” (currently available in paperback as “Private Yankee Doodle”). Though his account was written 47 years after the war ended, the account starts in 1776 when he was 15 and moves to Conn. to work on his uncle’s farm. He desperately wants to join his friends who have enlisted with the rebels to fight the empire. His uncle won’t let him, but he runs off anyway to enlist. They won’t take him because he is too young and tell him to come back next year. and it ends with a storming of the fortress–aka castle. really written by the uncredited Leigh Bracket–a famous science fiction writer, who found this rather standard drivel easy to pound out. You left out Leni Riefenstahl’s Triumph of the Will (http://www.imdb.com/title/tt0025913/). A) Lucas directly attributes Mr. Campbell’s work. Look at the stories of Christ, Moses, Osiris, etc. are also told in this format. As for Leigh Brackett (correct spelling), Leigh wrote the first draft of Episode V (Empire), not of the first film. Great article Greg, I love a lot of these films, and you’ve given us some food for thought on other great films to see. The dog -fight sequences from Star Wars were directly inspired by the incredible battle scenes from Wings. The love triangle between Luke, Han, and Leia in the first movie (“New Hope”) parallels the plot of Wings also. 4 penny, you are wrong. Lucas wrote a 200-odd page script, from which he used the first act for Star Wars. He wrote the script for the film, but it had input from a number of friends, including Gloria Katz and Willard Huyck, who had written the screenplay for his American Graffiti. Leigh Brackett had nothing to do with the initial draft of Star Wars. She was hired to write the script of the Empire Strikes Back, but died shortly after handing in her first draft. Lawrence Kasdan was then hired to complete the work. Apparently Lucas did not use many of Brackett’s changes. Don’t forget Triumph of the Will–the inspiration for the final scene of Episode IV, where Luke and Han and Chewbacca get their medals. let’s not forget the 7th Voyage of Sinbad. the famed grappling wire over the chasm scene where Leia kisses Luke for luck while stormtroopers close in on them is IDENTICAL in every detail to a scene on 7th VOS: Sinbad and his lady friend are being chased by sword-wielding skeletons, and they find themselves trapped at the precipice of a big ravine. Sinbad summons his genie-in-a-bottle bud, who conjures up a swing rope for Sinbad and his lady to escape across the ravine right before the skeleton dudes catch them. I saw this 7VOS movie only recently, but as soon as I saw the rope-escape scene, I thought OMG…Star Wars! May i cmmend for your consideration an incredibly low bufdget film from a couple of years earlier, “Dark Star”? Joint student-film project of John (“Halloween”) Carpenter and Dan (“Alien”) O’Bannon. Let’s just say that if you watch it, you should expect to see things that popped up later in “Star Wars”. You forgot “The Wizard of Oz..” Episode IV: Young person living with aunt and uncle on farm, spirited away to exotic lands, perilous journey with small band of mostly non-human characters including a tin man! Good work, man….You haven’t missed a thing! Don’t listen to these blind/stupid folk offering crackers after-the-fact. They didn’t accomplish this feat, but you did! Again, good job. Thanks. Months ago, I saw a video on YouTube in which a viewer brilliantly put together a collage of videos that inspired George Lucas’ Star Wars! I was floored in how much George Lucas copied from other classic films – ABSOLUTELY AMAZED!! This is why the Star Wars Saga has such a long lasting multi – generational and global appeal! Darth Vader's helmet is just like a nazi helmet. Pingback: A suggestion for the new Star Wars movie – use The Man Who Shot Liberty Valance as a basis, with a little help from Looper « A Man With A Ph.D.
I’ve just seen the Bedford Incident and the similariities struck me too – hence I did a Google search and your post is the only one that mentions it. It’s uncanny!